With the many horrific disasters happening across the country, have you considered how you can help? Of course you have. You’re a Nurse and that’s what you do – care for others. This is a terrific interview of a Nurse who retired a year ago and is now volunteering for the Red Cross. Her skills are desperately needed. Perhaps her story will inspire you. Mary Yoshino, FNP, wore an identification badge for years that told the world who she was and what she represented in the healthcare community. When she retired from being a nurse, Mary wasn’t sure what her next step would be, but she knew she wanted to continue to help people. Currently, Mary is on the ground in Houston, Texas, volunteering in the aftermath of Hurricane Harvey, an extremely destructive Category 4 Atlantic hurricane that made landfall in southern Texas in August 2017. We recently had the opportunity to speak with her to learn more about her career and her current role as a volunteer disaster response nurse. Nursing Notes (NN): Can you share a little bit about your nursing background? Mary: All my life, I wanted to be a nurse. As a student nurse at Johnston-Willis Hospital School of Nursing in Richmond, Va., I became very active with the American Red Cross by taking and teaching classes. Since graduation, my nursing career has spanned 47 years in all areas of nursing and multiple states. I have worked in intensive care units and emergency rooms, college health services, and the Army Nurse Corps Reserve. I went back to school to become a nurse practitioner in 1990, and then worked as a family nurse practitioner for 26 years before retiring last year at the age of 69. I took this past year to reflect on what I wanted to do in my next phase of life. NN: What made you want to volunteer during Hurricane Harvey, and how did you get involved? 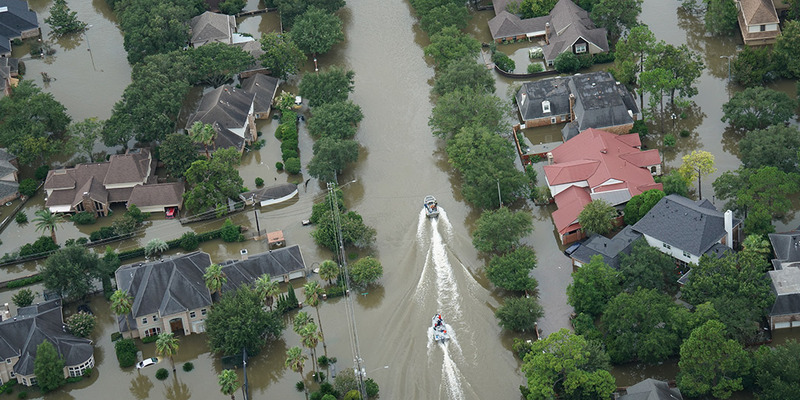 Mary: I received a text from my son in Friendswood, Texas, saying that his home was taking on water and that he and his family were evacuating. That morning, I signed up to volunteer with the Red Cross. I was so desperate to help people again and was deployed out of Albany, N.Y., to Houston with a team of four other nurses. NN: What are your day-to-day responsibilities as a volunteer nurse? Mary: Currently, I’m a supervisor for a 460-resident shelter facility. We’re responsible for going from cot to cot, making rounds and assessing residents’ health needs daily. We are doing dressing changes, distributing over-the-counter medications, and calling for prescription refills. Some of our patients are very sick; yesterday alone we called 911 four times. We talk to our patients, hear their stories, and hold back our tears as we wipe away theirs. Our day is busy. There’s no time to sit, and very little time to eat because our patients’ needs come first. NN: What is the most rewarding aspect of this volunteer role? Mary: The most rewarding aspect is to see the gratefulness in the eyes of the people we help. They come in feeling dehumanized, as they have lost all that they hold dear. Some cry and some are quiet, but they see that we care and we talk to them about the realness of their situation and ask them quietly how we may help them. Today, I was with a woman who teared up and said, "You really care, don't you?" A kind smile, manners, and showing respect goes a long way. NN: What did you take away from this experience? Mary: This experience has inspired me to go back and work in our local Red Cross chapter, to be a spokesperson for the Red Cross and to encourage others to volunteer. Even on a local front, there are so many ways to help. NN: What do you wish others knew about the impact that Hurricane Harvey has had on citizens and communities? Mary: My team has seen firsthand the destruction around Houston and realized just how real this hurricane was and how it has changed the lives of so many. As other breaking news has developed, people here are still feeling the effects of Harvey and are coming together in the communities that were hit the hardest. In my son's community, all homes were destroyed, but they went door to door helping each other. It’s about people helping people. NN: What advice do you have for other nurses who are interested in disaster response nursing? Mary: Let's do it!!! Be there, hold a hand, wipe a tear, make people feel human and safe again. Think back to why you became a nurse, and let those reasons once again come to the front. Let's go make a difference. NN: Is there anything else you’d like to share about this experience? Mary: When I retired from nursing, I broke down emotionally. I did not know who I was besides a nurse practitioner. The Red Cross has given me my life back. I feel like I have found my niche. I came to Houston and realized that I can still make a difference. I will return home in mid-October after having been in Houston for a month. In November, I hope to be deployed somewhere again. This time, I will go in knowing I have the confidence to lead and make a difference for the victims of a disaster. To learn more about volunteering as a nurse through the Red Cross, visit www.redcross.org.